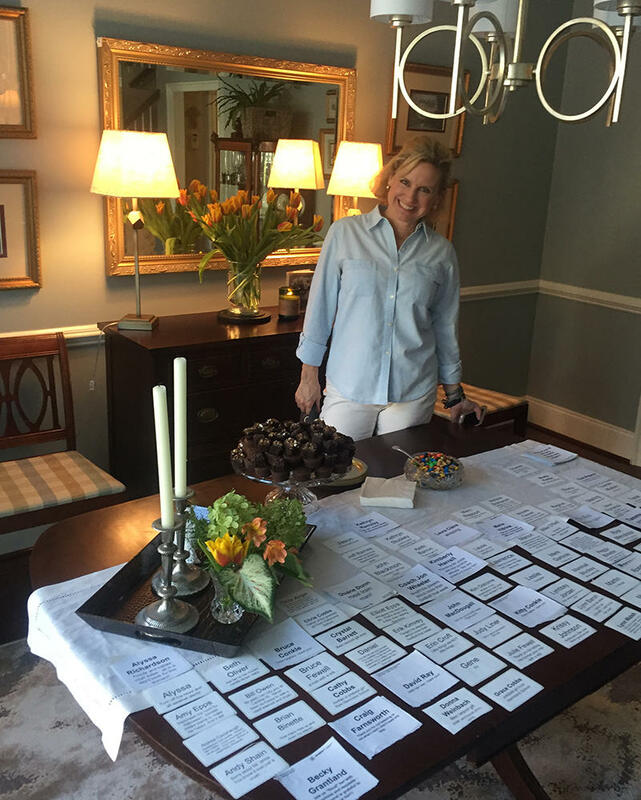 Tammy Moshier stands in her living room with nametags she made for the guests of her "Gratitude Party." Each one bears a description of what the wearer did to help her and her daughter during their struggle with the flood. Tammy Moshier and her twelve-year-old daughter, Laura, were flooded out of their home near Gill's Creek in October 2015. Because their home was elevated six feet, they had assumed they would be safe from flooding, but they were wrong. It was a stranger that escorted the mother-daughter pair from their front porch and carried Laura through shoulder-deep water. They never knew his name. Months later, however, they were able to make contact with him to invite him to a "Gratitude Party," a way to honor all of the people who had helped them through their recovery on the one year anniversary of the flood. Click to Listen... Narrative is a production of South Carolina Public Radio.